Being an artist is a state of mind more than a decision to be an artist. Whether you are a full-timer spending each day in your studio or if you are a weekender, there exists a responsibility. It’s a responsibility to share your experience through your own unique perspective, and to do it authentically. That is to be true to yourself, your sensibility, and your artistic character. That is only part of the story. 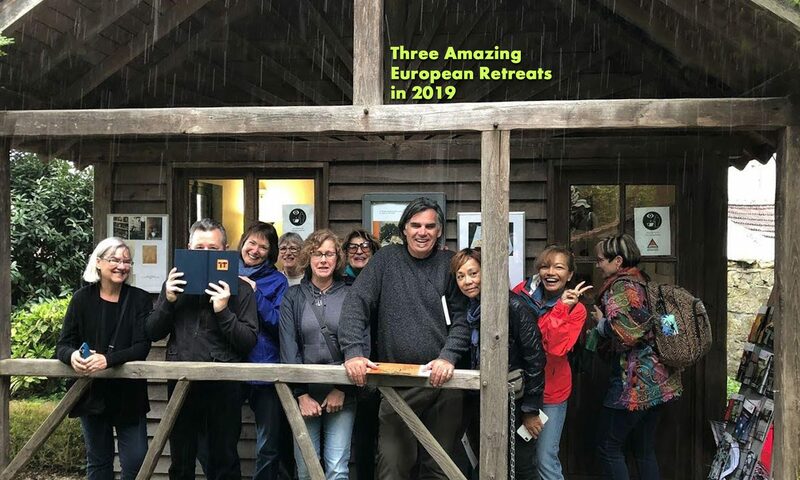 If making art that expresses your world freely and authentically is important to you, you can think of our retreats as 7 to 10 day workshops on The Art of Art Making. Any of our retreats are a great opportunity to come and paint with us, Tali and Royce in amazing places. We love to share, our stories, insights and if you like, we will guide you where ever you want to go artistically. The Provence is a special part of France and is filled with a light that has captivated artists from around the world for years and it will captivate you too. Vincent Van Gogh and Paul Cézanne are the two most notable artistic residents of the region. Vincent traveled to Arles in 1888 with the dream of establishing a “Studio of the South” in his Yellow House. Eventually he convinced Paul Gauguin to join him there, but that only lasted a short while. Cézanne was born and raised in Aix-en-Provence and then came back from Paris to paint there the rest of his life. We will visit and paint in many of the locations where Vincent worked. Then we will go east and visit Cézanne’s studio, and switch our focus to getting out in the field to paint the landscape around Mont Sainte-Victoire that inspired so many of Cézanne’s paintings. This will be a wonderful opportunity to not only learn more about these great artists, but as you stand in the very same places where they created their art, your own paintings will be inspired as were they. The cobble streets that wind between white washed walls and homes set in the foothills of the Sierra Nevadas are an endless source of inspiration for your drawings and paintings. We will take full advantage of the we have there to draw and paint them daily as we explore every corner of the city. Granada is also one of Spain’s flamenco strong holds. This energetic dance is an exciting art form that we will be sure to witness live. Drawing the dancers and musicians will be a experience that will sharpen your ability to process the moment. Our next online exhibition is titled Fire. It is an all media show. The art must contain some aspect or attribute of fire in any of its many forms or contexts. Click here for the prospectus and registration.